USS Pampanito (SS-383) is a World War II Balao class Fleet submarine museum and memorial and is open for visitors daily at San Francisco’s Fisherman’s Wharf. At Pier 45, the end of Taylor Street in the center of Fisherman's Wharf. 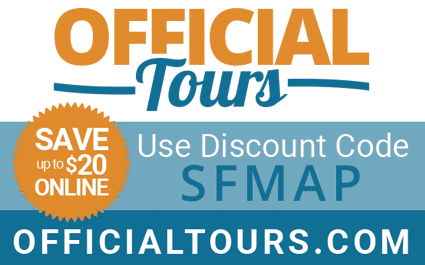 Use discount code SFMAP at OfficialTours.com to save on booking fun activities. 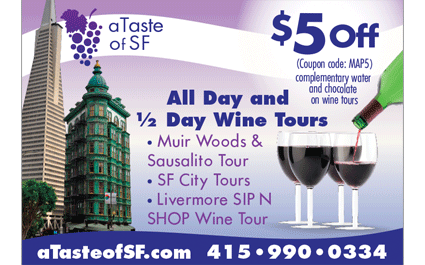 Use coupon code: MAPS to receive $5 off your tour. Get 10% off your purchase of Multi-Attraction Pass. 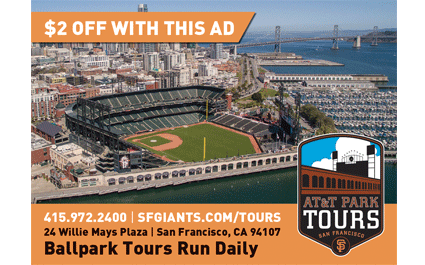 Save up to 55% on top museums, tours, and activities with Go Card San Francisco! Choose as you go from 25+ attractions. Museums, tours, cruises, and more. Explore for 1,2,3 or 5 calendar days in a row. Instant Delivery. Use your pass right on your phone with the free Go City Card app or print it out in advance.